State Duma adopts bill on providing information by Russian banks under FATCA statute | Russian Legal Information Agency (RAPSI). 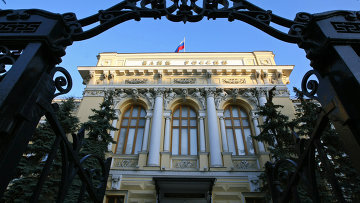 MOSCOW, June 17 (RAPSI) - The State Duma on Tuesday adopted in the first reading a bill to allow Russian financial institutions to provide information about US taxpayers and to oblige foreign financial institutions to report Russian taxpayers to Russia’s Federal Tax Service. Starting July 1, 2014, the Foreign Account Tax Compliance Act (FATCA) will require foreign financial institutions (FFIs) to provide annual reports to the Internal Revenue Service (IRS) on the name and address of each US client, as well as the largest account balance for the year and total debits and credits of any account owned by a US citizen or person (Green Car holder). If an institution does not comply, the US will impose a 30% withholding tax on all of its transactions, including investment revenue. To be able to comply with FATCA requirements, banks and other financial institutions need to register with the IRS. The Foreign Account Tax Compliance Act (FATCA) is a US statute that requires FFIs to report to the IRS information about financial accounts held by US taxpayers, or by foreign entities in which US taxpayers hold a substantial ownership interest. In fact, FFIs are required to act as tax agents who collect revenue from sources in the United States and also to close the accounts of recalcitrant clients. 16:15 17/06/2014 The State Duma on Tuesday adopted in the first reading a bill to allow Russian financial institutions to provide information about US taxpayers and to oblige foreign financial institutions to report Russian taxpayers to Russia’s Federal Tax Service.